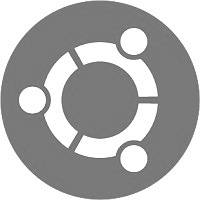 After announcing Ubuntu for phones and tablets, it seems like there's no stopping to Canonical's growth. Following a 2-day countdown that teased its impatient fans, Canonical finally unveiled its latest innovation: Ubuntu for washing machines (Ubuntu WM OS). Targeted at both front-loading and top-loading washing machines, this newest iteration of the open-source operating system plans to revolutionize the way clothes are washed. Ubuntu WM OS is a brand-new innovation that plans to change the way clothes are washed. With a uniquely designed Dash menu along with online integration, the new OS comes with a promising set of features. One of the biggest features is its amazing ability to multitask. You can Skype with your friends, check your email, and monitor your laundry at the same time. Shuttleworth, who announced the news on his blog, seemed very excited and positive about the new project. For him, this is just another step in bringing Ubuntu to every device possible. Though hybrid washing machines are not supported, Ubuntu WM OS will run perfectly well across most front-loading and top-loading machines. Like Ubuntu for Tablets, this version of the OS shares the same codebase as the desktop version. This means that you'll be able to run the same apps across all of your devices. So, you can casually check the photos of last night's party on Gwibber while the machine washes away the stains from your clothes. Though Ubuntu WM OS lets you use your device as a stand-alone washing machine, it can also serve as a full-fledged desktop. Simply connect a monitor to your machine (placing it on top of the machine is recommended) along with a mouse and a keyboard and then you can have a full-fledged desktop that also takes care of your laundry. The Canonical chief seemed pretty happy about the project. "We want to bring Ubuntu everywhere," wrote Shuttleworth on his blog, "This project is an enormous and concentrated investment in making a core platform that can be widely consumed. I’ve absolutely no doubt that Ubuntu will completely revolutionize the way washing machines work." Though as ambitious as the project sounds, there aren't many hardware manufacturers ready to invest in this project. LG and IFB are partners Shuttleworth would ideally aim for, but at the moment, they're alone in this battle. "Partners have expressed interest," Shuttleworth told us, but refused to elaborate too much on it. It remains to be seen whether manufacturers will take interest in a platform that is so new and challenging that even Apple has refused to touch. Not everyone was happy with the announcement, though. While many Ubuntu fans rejoiced at the decision, many called it an "utter failure" thus sparking a huge debate among Linux fans. Richard M. Stallman, was quite vocal when expressing his discontent with Ubuntu's decision. "I have never owned a washing machine, and now I have one more reason not to buy one," said the free software activist. Yeah yeah, April fools... ha ha ha... Nobody needs an OS for their appliances. Will it include a LTS version as well?.. I loved Stallman’s statement! Great joke!